The internet is a place where faceless commenters try to destroy lives and careers, where the punishments often outweigh the crimes, and where (ironically) there are no consequences. 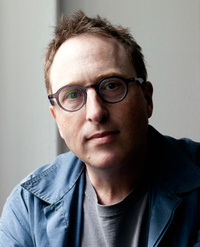 Best-selling author and radio person JON RONSON explains: his new book is So You’ve Been Publicly Shamed. Jon talks about public shaming with Monica Lewinsky HERE. Also: The untold story of women’s involvement in the Zapatista movement. HILLARY KLEIN will explain—she spent six years in Chiapas, and her new book is Compañeras: Zapatista Women’s Stories. Plus: A report from Detroit, where poor people face an almost biblical foreclosure crisis: tens of thousands of people could be thrown out of their homes–and the city has plans to turn their neighborhoods in to “water retention basins.” LAURA GOTTESDEINER has that story—she writes about forgotten America for Mother Jones, The Nation and TomDispatch.